HA NOI (VNS) — The domestic stock market has experienced a long value accumulation period, which observers note could end this coming week. This follows comments about a potential interest rate hike later this year by US Federal Reserve chief Janet Yellen. "The VN-Index and HNX-Index are likely to change the trend this week, and this should be strong enough news to act as a ‘trigger' for this change," analysts at BIDV Securities Co wrote in a report. On Friday, Yellen said she expected the US Federal Reserve Bank to begin raising interest rates later this year, assuming inflation remains stable and the economy is strong. The Fed postponed an expected interest rate hike at this month's policy meeting, citing global growth risks. Thus, the market is still not entirely convinced by Yellen's comment that the Fed would raise rates this year, instead expecting an increase in March 2016. However, foreign investors have repeated their net sell activities in the Vietnamese market recently, and many analysts believed this could be in preparation for the Fed's rate hike. "If the Fed raises interest rates, higher returns on lower risk assets in the US will attract capital inflows from the rest of the world to this country to seek low risk-adjusted returns on securities and index funds," analysts at Bao Viet Securities Co wrote in a report on September 17. Meanwhile, foreign investors extended their net selling streak to six days in a row, with a total net sales value reaching almost VND789 billion (US$35.1 million). Overall, the two stock indices rose slightly last week, but liquidity remained at low levels on the two exchanges. 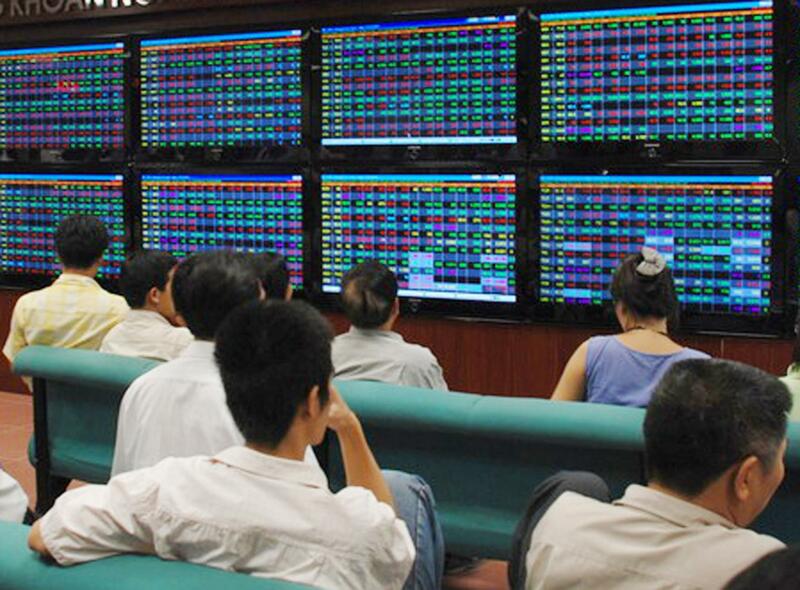 In HCM City, the VN-Index edged up 0.74 per cent over the week, closing Friday at 570.38 points. The HNX-Index on the Ha Noi Stock Exchange gained 1.18 per cent after six rising sessions, ending the week at 78.67 points. The daily trading volume in HCM City's market reached nearly 105 million shares, averaging VND1.78 trillion ($79.1 million) per session, down slightly from the previous session. These figures were also much lower compared with the three-month average of 135 million shares and VND2 trillion ($88.9 million). The volume of trade in Ha Noi's market rose nearly 11 per cent over the previous week, however, averaging 36.5 million shares worth VND427 billion ($19 million). This level was still lower than the average of the last 20 weeks. Fourteen of 20 sectors saw gains last week, led by information and technology shares which had an average growth of 7.9 per cent. Construction, real estate and banking sectors also performed well, with increases of 4.1 per cent, 0.4 per cent and 0.1 per cent, respectively. According to analysts at Maybank KimEng Securities Co, the impact of the Fed's raising interest rates are mainly psychological at the current time, and the market is still in the stage of value accumulation.